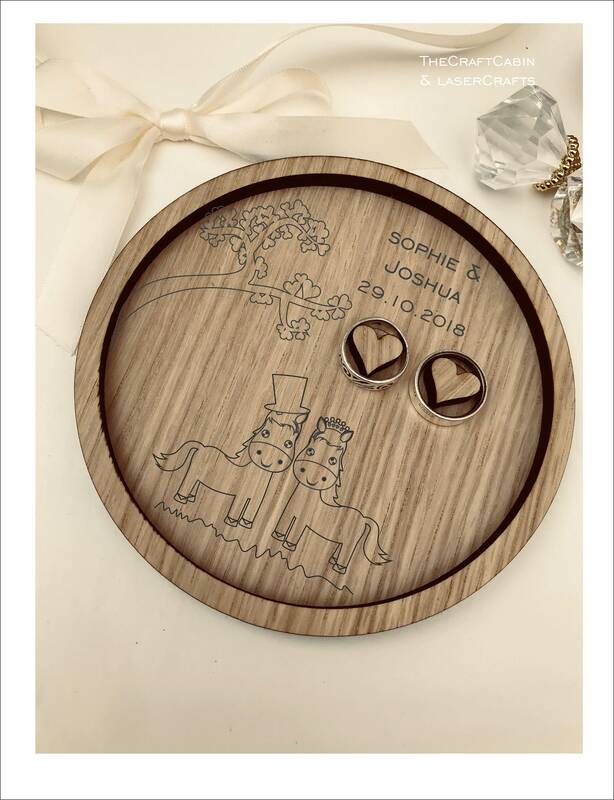 Wedding Ring Bearer Tray: Personalised Engraved Farmer, Cute Wedding Horses. Dish, Box, Gift, Farm, Vintage, Rustic, Weddings, Anniversary. Engraved on high quality solid oak. Approx: dimensions: 140mm. Personalised with your own names & date. We offer three options for these Horses, his & his, hers & hers, his & hers.. Please include a message for your requirements. Please allow 7-10 working days for engraving and despatch of goods. 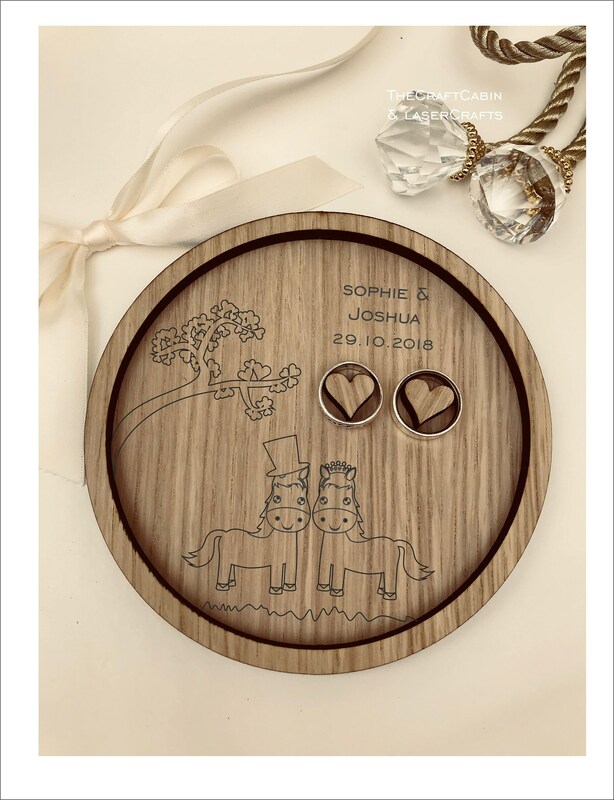 This elegant Farm Inspired Cute Wedding Horses oak wood wedding bearer ring holder plate/tray/dish is the perfect accessory for your page boy/girl to walk down the aisle with.